The Nightfall Melodies are an acoustic duo comprising Malcolm on guitar and Sara on vocals. Their portfolio of songs encompass a wide range of genres including jazz, folk, lounge classics and Americana. 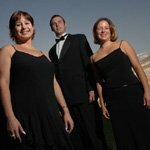 Nightfall Melodies is the perfect accompaniment to any event, from weddings to corporate parties. Sara has performed across the UK and abroad at a variety of venues including the 100 club (Oxford Street), Jazz after Dark (Soho), the Edinburgh Festival and has toured internationally. She has sung in a range of bands including bluegrass, folk and jazz. Sara is an experienced performer with a versatile vocal range. Malcolm has been playing guitar since he saw Hank Marvin perform on stage with his red Strat. He is equally comfortable reproducing songs in their original form or creating an unusual arrangement. He has gigged across London to a range of audiences and always been met with rave reviews.